I stumbled upon this gem while I was wandering around after the “Taste of Hamburg-er” festival this summer. 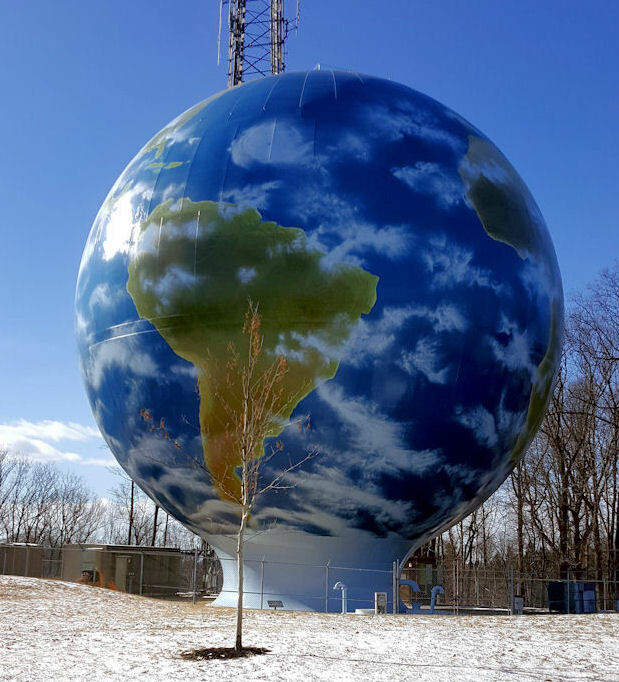 I stopped to fuel-up my bike and spotted this insanely-awesome sign from across the divided highway that runs through Shoemakersville. It’s even my favorite “so wrong that it’s right” color combination! I couldn’t help but find the quickest way to turn around and make my way over to see it up close. 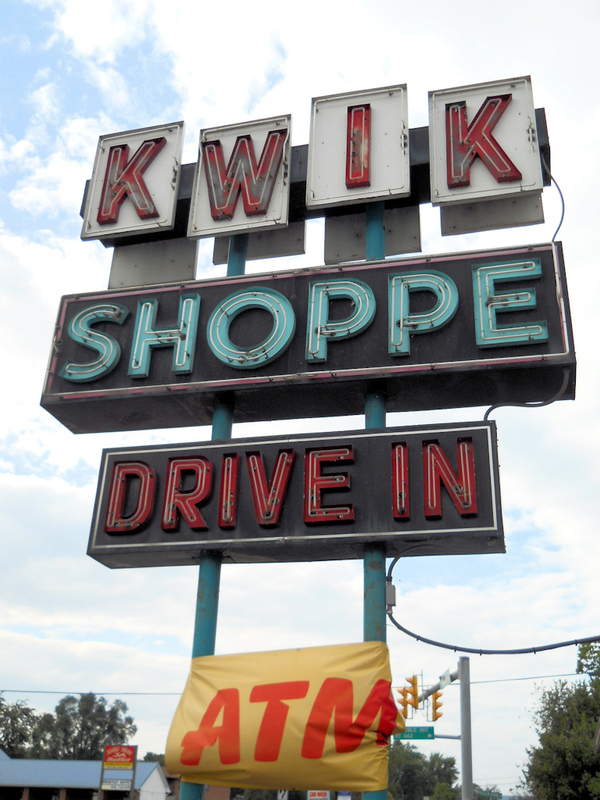 The woman behind the counter told me that both the Kwik Shoppe sign and building date to the mid-1960s. 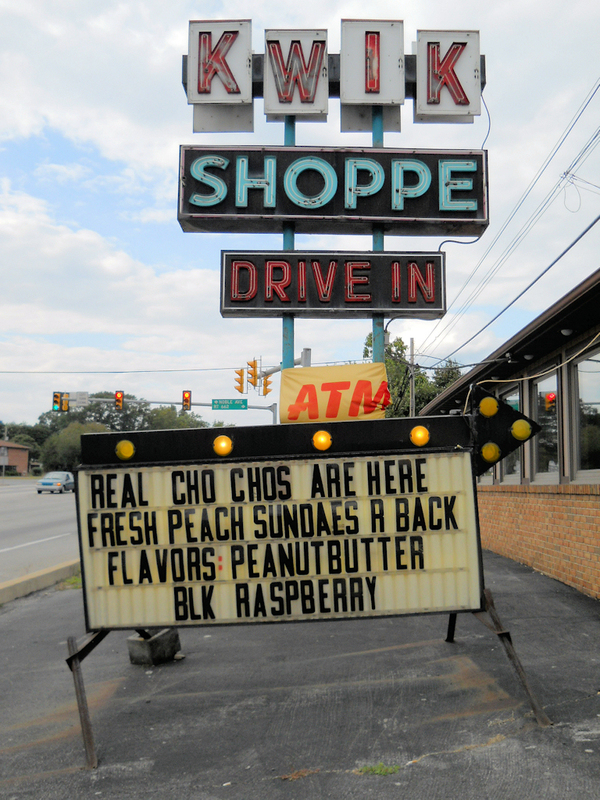 On a sidenote: I heard some customers talking about the cho chos featured on the portable sign underneath the original Kwik Shoppe sign. Apparently, they are hard to find. Now I wish I would have ordered one to see what the fuss is all about. Did you happen to overhear what a cho-cho is? I’m intrigued! From descriptions elsewhere it seems that there is a stick embedded in the cup, so that you can pop the ice cream out and eat it like a popsicle. Interesting! I’ll have to add this (and the mystery cho chos) to my things to check out! thanks as always WV! Besides the cho-chos, they always have an unusual flavor of soft ice cream. As you can see from the picture, at that time they had peanut butter and black raspberry (yum!) A nice change from the vanilla, chocolate and twist–which they also serve. Plus the people that work there are always very nice. Just stumbled across your kind review of the Kwik Shoppe. This is my husband and brother-in-law’s business. It has been in the family for over 40+ years!! We appreciate the kind words, and you are absolutely correct when you mentioned the road has gobbled-up our parking lot over the years. Back in the 60’s & 70’s when my late father-in-law was running the business, we had truckers pull off on the side of Rt. 61 to grab a quick bite. We’ve sadly lost that type of business. I am so glad there are some people who can appreciate a true gem amongst the rising conglomeration of fast food chains and “other” large super stores that get tax benefits to take our business. 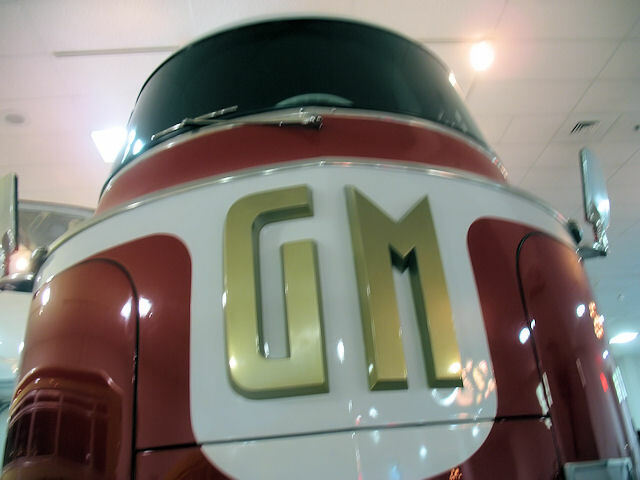 We greatly appreciate customers who still value good old-fashion American business. They are definitely few and far between these days! As a kid, I remember stopping at the Kwik Shoppe on Sunday evenings after coming home from a day at my grandparent’s house. 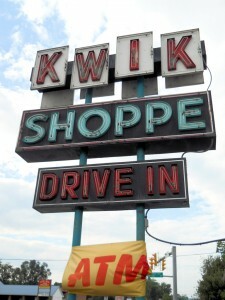 The excitement of the bright Kwik Shoppe sign is a memory I will hold forever. Didn’t know then that I would later marry the man who owns it 🙂 That same sign still shines bright on Rt.61 Next time you are in the area, please stop by for a cho-cho and a hot dog with fries on us! I’m sorry your hot dog wasn’t so great on that visit but we did win the “Best in Berks” award for our hot dogs for the past 3 years. Maybe you just came on an off-day 🙁 Follow us on FaceBook in case you pass our way again! I’m so glad that you stopped by! Thanks to you and your family for sustaining a vintage business that is so fun to stumble upon. Of all the signs I’ve encountered along the way, this one is still one of my very favorites! Man oh man, am I craving some of your fries!